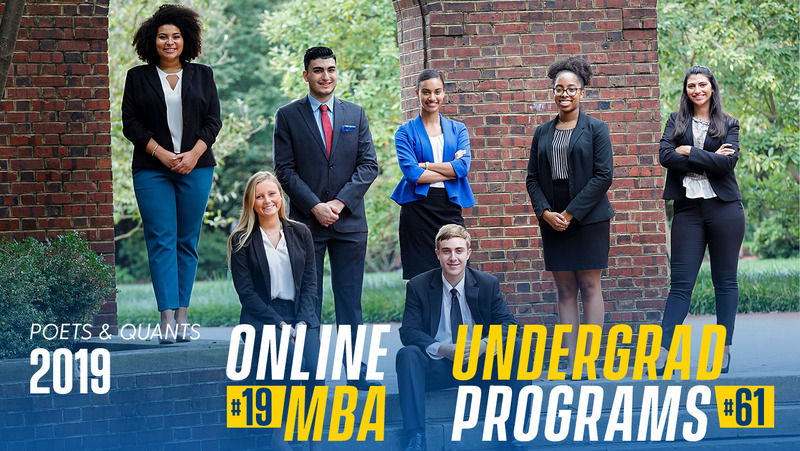 Poets&Quants (P&Q) has ranked the University of Delaware’s Alfred Lerner College of Business and Economics programs in its recent lists of top online MBA (2019) and undergraduate business programs (2018). The Lerner College online MBA was ranked 19th and the Lerner College undergraduate program was ranked 61st in the country. For both programs, Lerner received high scores for student experience. P&Q is a website focused specifically on business schools, and it offers a yearly ranking of various business school programs. Unlike other organizations that rank business schools, P&Q focuses on three core issues for their rankings: “the quality of the raw talent coming through the door, what a school does with that talent over four years and finally, how the marketplace responds to the graduates coming off campus.” The soundness of this ranking is part of why UD’s Office of Institutional Research and Effectiveness (IRE) has included P&Q in its list of UD Primary Rankings. According to the P&Q website, “schools included on the ranking represent the very best AACSB-accredited business schools in the U.S.” While there are nearly 300 online MBA programs in the U.S., only 35 met the criteria to be included in the P&Q rankings. The ranking includes both schools that are 100 percent online and those with hybrid programs. The pool is much larger for U.S. undergraduate programs, with nearly 700 accredited by AACSB, of which P&Q only included 82 schools this year. For Lerner College to be ranked 19th for the Online MBA and 61st for the undergraduate business program is a notable achievement, but there are other important factors for prospective students to consider when choosing a right fit program. Baroudi advises that students should look at the school and its programs, and meet the faculty to gain a richer understanding of what their experience would be like. “Although the rankings may give an initial idea about which schools prospective students may want to consider, if that is all that they base their decision off of, students are doing themselves a disservice,” said Baroudi. Weber agreed, noting that, “although we choose to participate in rankings, and seek to have the highest possible ranking we can, each individual student should find out which school is right for them.